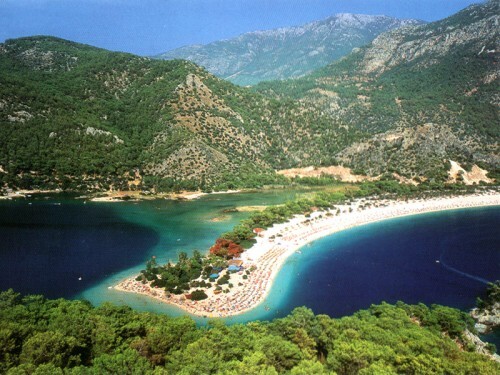 Last minute Turkey: 6 days in 3* hotel, flight, halfboard & transfer for €143! Ab in den Urlaub now offers amazing price on holiday package in Turkey. 6 days / 5 nights in 3* hotel together with return flight from Dresden and halfboard (breakfast, dinner) and transfer to hotel is now available for only €143! Three star Hotel Carna Garden is located in Side between Antalya and Alanya on Turkish riviera and offers huge swimming pool. The hotel has 78% recommendation rate from previous visitors so you don’t have to worry about its quality. Other departure locations as Hamburg, Stuttgart, Munich or Nuremberg are also available for slightly higher price. Book fast before it’s gone in German or in Czech language (from 4738 CZK). « Thailand: Cheap flights from Prague to Bangkok for only €321!